The new Search feature makes it easier to compare movies and find showings. Google announced a new feature today that will help you out when you're deciding what movie to go see. Now, when you look for movies or showtimes in Google Search on your phone, you'll be able to easily compare different films and see where and when they're playing. 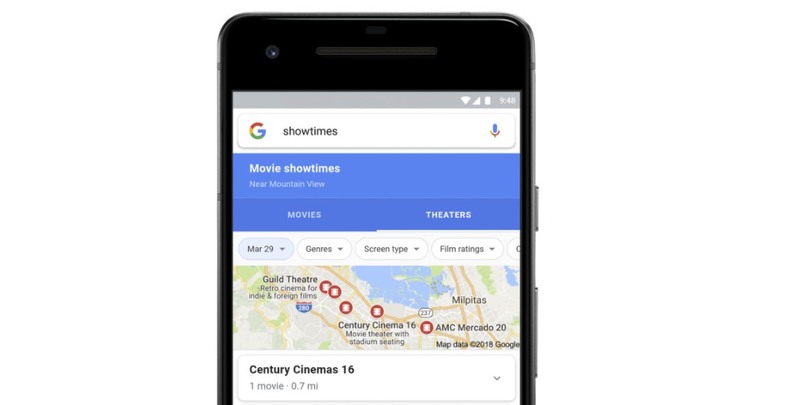 You can browse movies or look through offerings from particular theaters and when you tap a film title, Google will show you information about the movie, its IMDb, Metacritic and Rotten Tomatoes scores as well as showtimes in nearby theaters. Then you can just swipe over to see all of that information for another movie option. Once you've made your decision, just tap on a showtime to buy the ticket. The new feature is available now in the US and India through Google Search in mobile browsers and the Google app for Android. Google says it will arrive on the Google app for iOS soon.